What’s is a beginner? 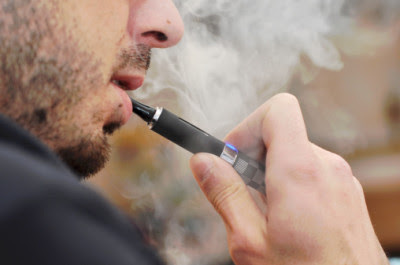 Normally speaking, he or she has never used e-cigarettes before or has just began to vape for not so long. For newbies, the e-cigarettes should not be too expensive with easy operation and maintenance. What’s more, the size needs to be compact and portable. The most important thing is the good quality. There are four types of e-cigarettes for newbies to choose from. They are simulated tobacco e-cigarette, EGO starter kit, Mechanical mods with separate atomizer and electronic regulating rod. The appearance and operation of it is similar to that of traditional cigarettes. Tiny and portable, with 120mAh to 200mAh internal battery, it has a short battery life. What’s more, the vapor is small and can not be adjusted. This kind of e-cigarette is disposable. The size of EGO starter kit is also compact with user-friendly operation. It also accommodate with small atomizer. The 650mAh-1300mAh battery capacity ensures the longer use of it and a relatively large vapor. It is more profitable than the first one, a perfect choice for beginners. Most of the mechanical mod uses bronze or stainless steel materials as the outer skill, which also makes it looks quite larger comparing with the above two. The structure of it is quite simple without any internal circuit. Mechanical mods can match with larger atomizer with low resistance or DIY Drop Atomizer. Most of the mechanical mods looks fashionable and have great value of store. However, starters are not advised to use it for it may pose some potential hazards if it is misused. The regulated rod is a great combination of high safety and high watt with a large size. Like the mechanical mod, it also can match with larger atomizer with low resistance or DIY Drop Atomizer. The internal circuit makes the whole device much safer than the mechanical mod.